It also said the penalty would be 5 per cent of the revenue for non-compliance for a third time and debarring the school for taking admission in the subsequent year. NEW DELHI: In what may be a violation of a recent Supreme Court order, the Ministry of Human Resource Development is sitting on guidelines aimed at fixing responsibility on schools if students’ safety is compromised in campuses. On April 11 this year, the apex court had ordered the central government to come up with the guidelines within six months. The SC’s ruling came while hearing a petition related to the sensational murder of a student in a Gurugram school in September last year. Eight months on, the guidelines —which the National Commission for Protection of Child Rights had formulated after being assigned with the task — have not been notified by the HRD ministry yet. The NCPCR guidelines had said schools which do not follow the 164 parameters prescribed under the Manual of Safety and Security of Children in Schools should be made to pay one per cent of the total revenue generated by it in a year in case of first violation and 3 per cent for a second time. It also said the penalty would be 5 per cent of the revenue for non-compliance for the third time and debarring the school for taking admission in the subsequent year. 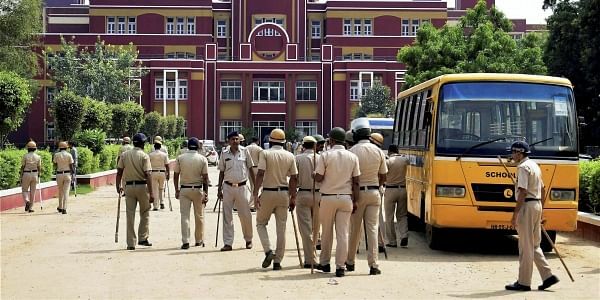 The guidelines stipulate that if a private school fails to comply with safety measures or there is a case of extreme violence in the campus, then the district magistrate can ask the state government to take over the management. While officials in the school education department of the HRD ministry conceded that the proposed guidelines had been shared with the states, the government had not yet endorsed them. “The delay has been caused because we want to hold larger consultation on it with various stakeholders including management of private schools,” said a senior official.